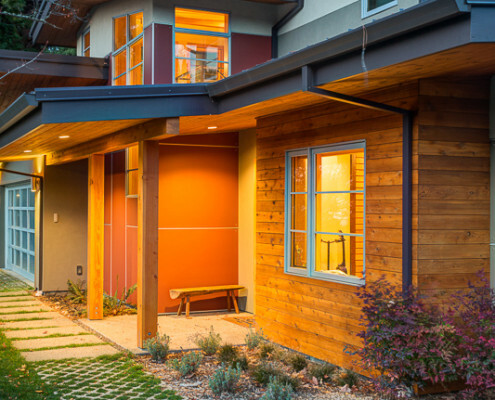 The design of this home was inspired by the eclectic mix of residences in the neighborhood built within ranch, modern, and craftsman eras. 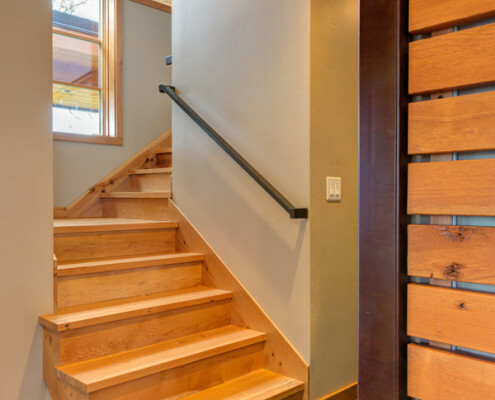 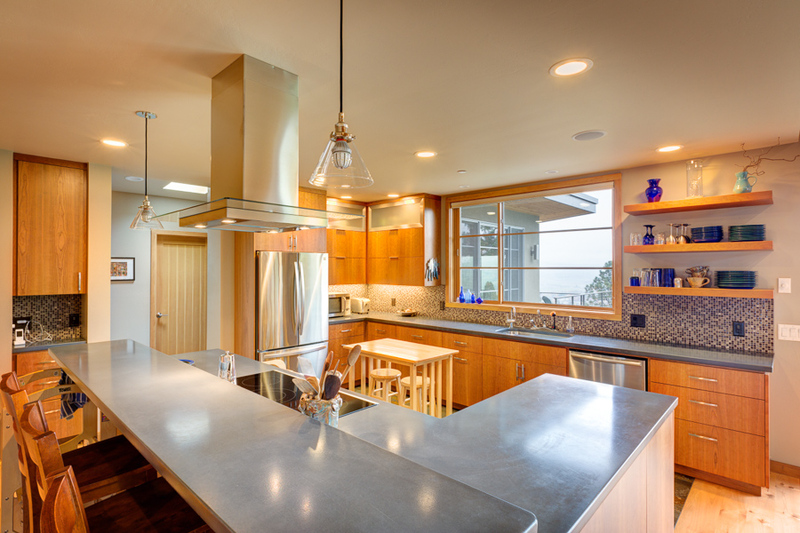 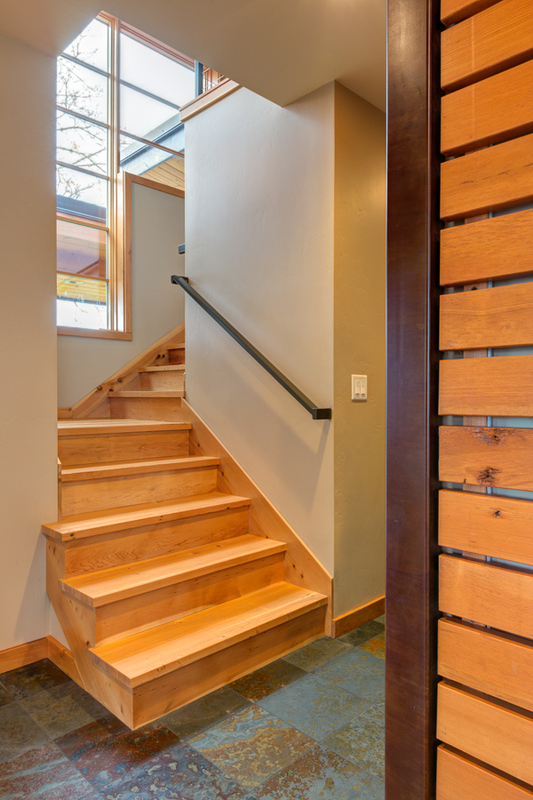 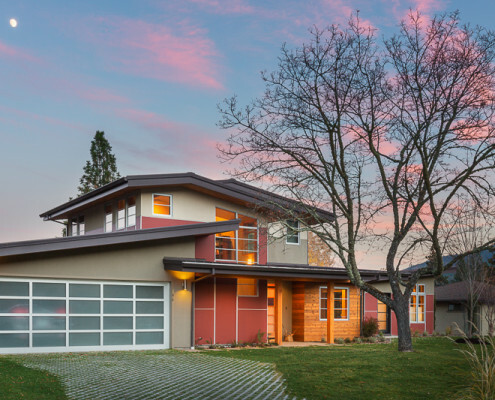 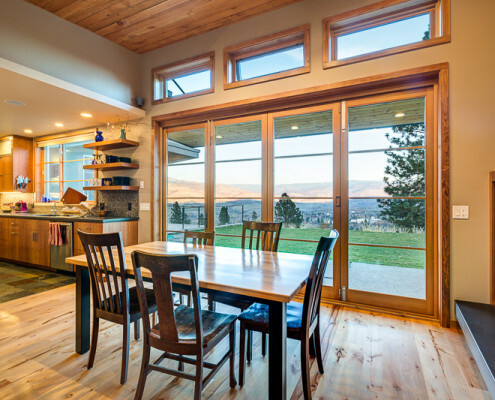 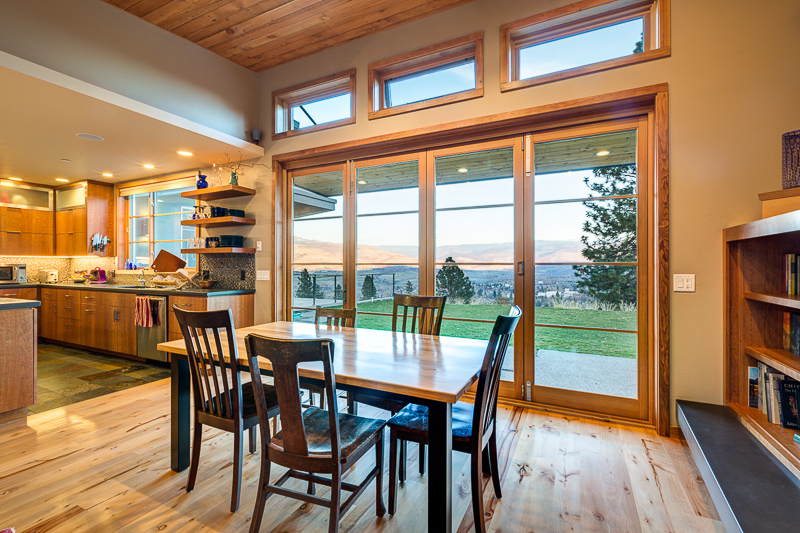 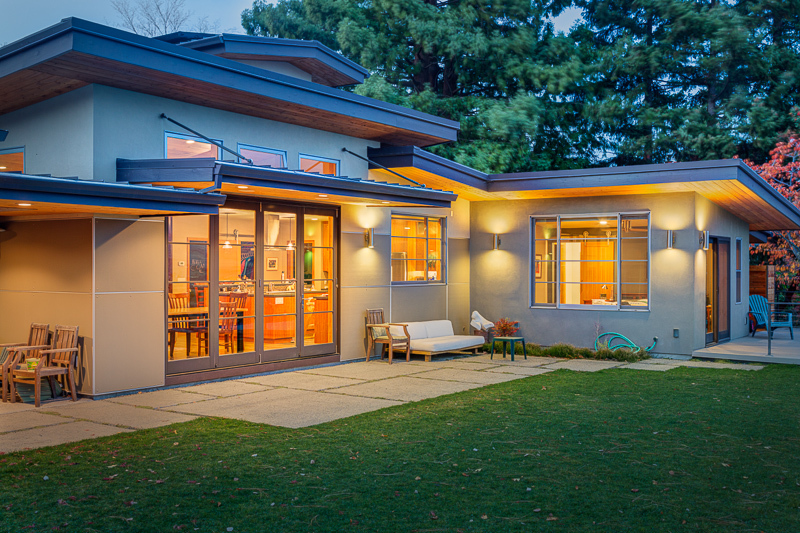 This sub 2400 SF home with a 400 SF in law unit garnered LEED for Homes platinum certification, Northwest Energy Star, and Earth Advantage certifications for its high efficiency and sustainability strategies. 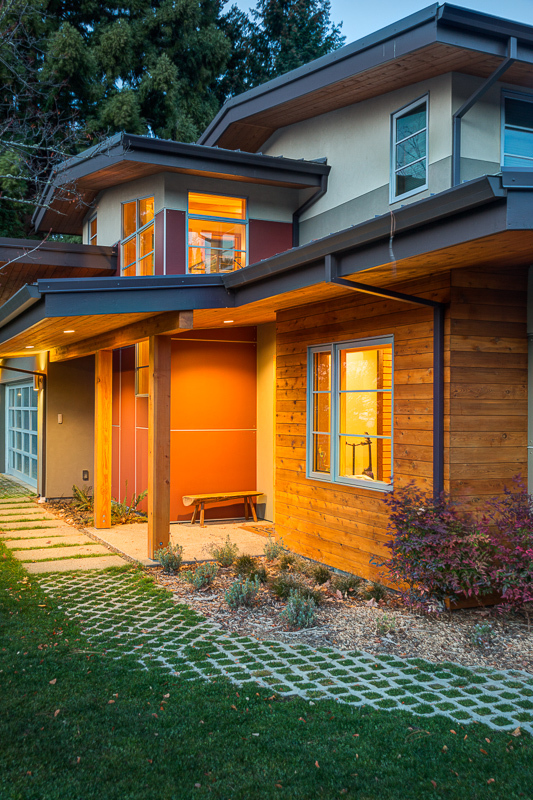 Primary strategies and features include reduced home size, staggered stud wall construction, high efficiency heating/cooling and heat recovery ventilation strategies, grey water recycling, and re-purposing the majority of materials of the pre-existing residence. 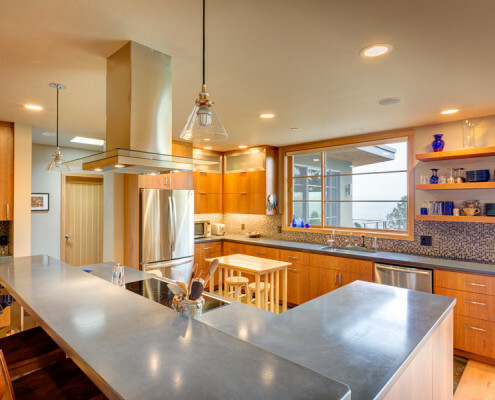 The success of this project was due to collaborative teamwork by our firm, the contractor, and the owner. 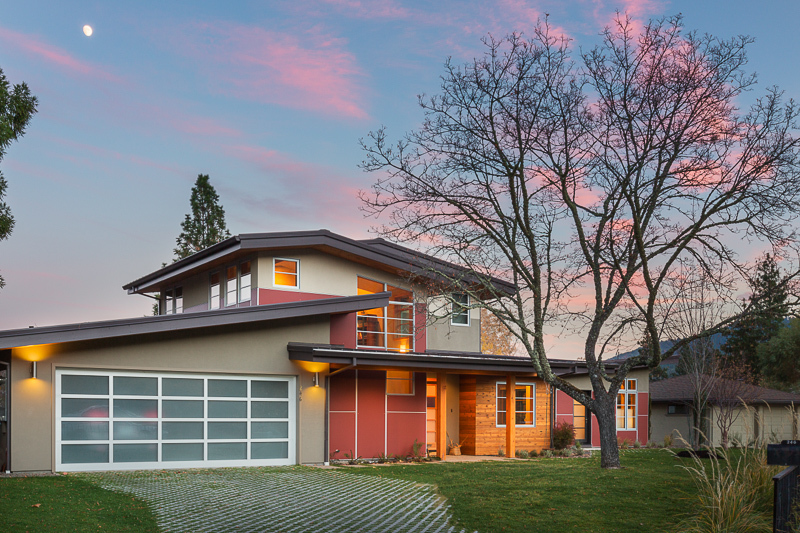 Awarded LEED for Homes Platinum Certification, Earth Advantage Platinum Certification, and Northwest ENERGY STAR® Certification. 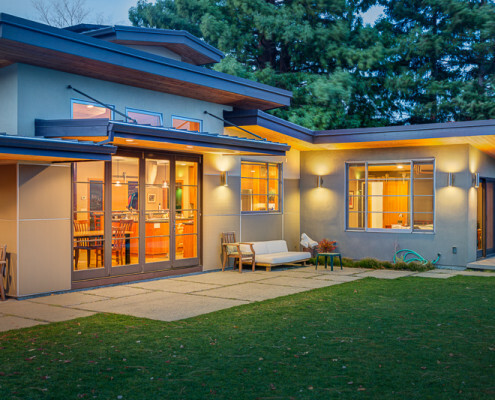 Featured in Oregon Home magazine, Fall 2017 issue.